Illustrators—This is an extraordinary opportunity to work with one of the best comic illustrators in the world. 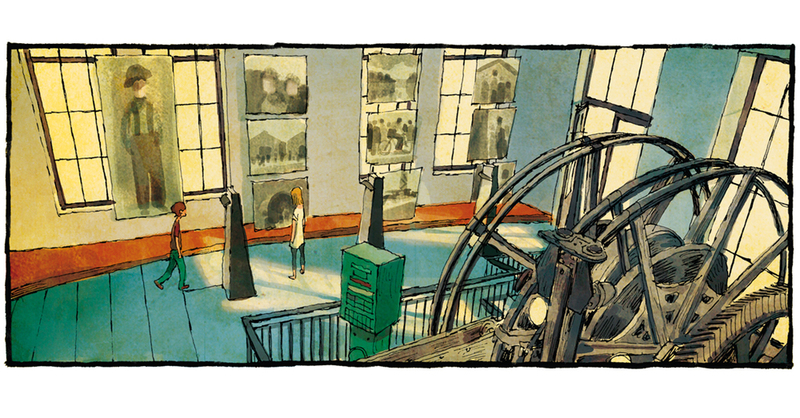 Thomas is the recipient of the Cognito Prize as Best Documentary Graphic Novel at the Belgium Book Fair, and also received the International Spectrum Fantastic Art 21 Gold Comic Award in 2014. His two-hour workshop will be held in Sydney on 21 February and in Canberra on 7 March 2015. It will cover subject matter such as markets in Frances, Belgium and Spain; “Bande Dessinée” (Franco Belgium drawn strips); storytelling techniques and more. For more information on the European Comics workshop in Sydney go here. For more information on the European Comics workshop in Canberra go here. Thomas talks about his work, the differences between comics and cartoons here and in Europe, he chats about the European perspective in regards to the Charlie Hebdo tragedy, and he talks about the NINTH ART and the status of cartoons in Europe ! And also what is it like to live now in Oz and his experiences here.